After we heard the old Queen was dead, I believed the King of Scotland would come straightway to the Tower and loose us. But no. I learnt that King was a stranger [foreigner] who lived many ways off. I heard my lord say we would receive newes of our libertie by the next despatch. King James. He sent a letter from Edinburgh on 5 April 1603, and the Harry and his lord left the Tower 4 or 5 days later. While we waited for the despatch, many came to visit us. All wished to be our friends. 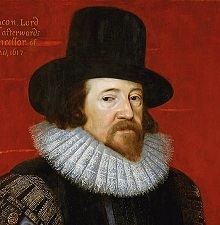 Francis Bacon, who was part of the prosecution team at the trial of the Earls of Essex and Southampton. The King sayt we could leave the Tower and dwell quiet in some house in or near the citie. We slipped out one evening, and went to lodge with my lord’s mother, the old Countess. Oh, how sweet that dwelling’s scents were to me who was birthed there. I could not contain my whurring. Even when my lord’s little she-kit troubled me. I bethought me of my mother, and wished she were there to greet me and see what a fine cat I was. There came a fellow to take my likeness. He was brought to a little chamber in our house. My lord and his lady Puss [Bess] spake a while with him. The picture was to mark our emprisonment. Then away they went, full of happy expectations. Happy expectations of King James, I mean. My lord and one of his companions from the Tower had been sent for. They were to travel north to meet the King, for he was coming slow, stopping along the ways for his hunting. What cat could not love such a King? I had happy expectations of my picture. I took my seat on the window sill (as I did in the Tower) and sat right well so the paynter could take a good likeness of me. Then he rolled up his paper and away he went. Full of foolish fancies. Why? My lord was gone before that picture was brought to us. I hope he forgot to pay for it. I was on the sill right enough, but the window behind me was none too clean. My lord, seeming none too cleanlie hisself, was standing nigh and pointing to the floor. As if to tell me to get down where I belonged. Shameful. I prayed my mother would never see this picture. She was ever wont to call me fool, and I looked fool indeed. Poor Harry! 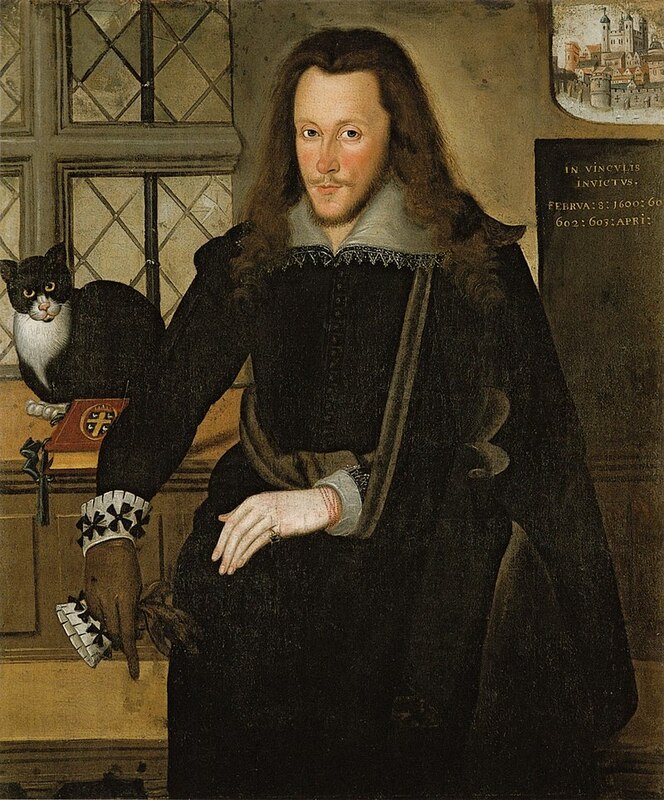 Portrait-bombed by an earl. Or, more precisely, someone hoping to have his title and estates restored very soon. The portrait itself is mysterious, and open to a variety of interpretations. 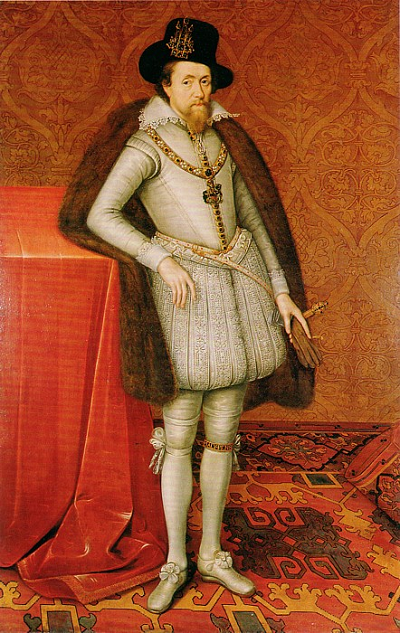 The Earl of Southampton is portrayed as someone who has suffered for a cause. What cause? That of the Earl of Essex and therefore King James. James saw Essex as the person bent on ensuring he would succeed Queen Elizabeth. The room (presumably Southampton’s apartment in the Tower) looks dismal with its cracked window and dingy wall. In the top right-hand corner is a small picture of the Tower itself. Anyway, Southampton looks far from his usual glossy self. His hair’s not styled, his beard needs a trim, and his cloak forms a sling for his left arm. He has a string of red beads (coral?) around his left wrist as some sort of antidote for pain. Despite his sombre attire, he’s not likely to be wearing mourning for Queen Elizabeth. King James wasn’t, and made it clear he didn’t expect anyone else to. So is Southampton in mourning for Essex, and displaying a mourning ring on his left hand? The book in front of Harry seems to be fastened to the window sill. The picture on its cover is Southampton’s crest, complete with coronet – except he’s not, right now, an earl. The most puzzling aspect of the picture is the cat. We know that’s Harry. But what might he represent? A dislike of being shut in? The ability to play a waiting game, as cats can when they’re watching for prey? Sir Robert Cecil, a master at knowing when to wait and when to pounce? I’ve even come across doubts about whether or not Southampton ever had a feline cell-mate! Sacrilege.